I've decided to put the Latisse reviews on hold until I make it to 8 weeks, and then 16 weeks. However, I am still completely obsessed with getting these eyelashes of mine to look super long, and so I had them dyed. Let's get right to the pictures! You can see that the tips are no longer blonde/clear. There is a bit of smudging, because the "after" pics were taken immediately after the procedure, and it can take a showering to get any little bits off the skin. It's not a problem I'm concerned with, but if you have a hot date or an important meeting, you might not want to go get this done on your way there. That said, this is a quick treatment. You can easily fit it into your lunch break, which is what I did today. I did not wear any makeup to my appointment, because my eyes tend to water even though nothing is actually irritating them (seriously, it's silly), and I didn't want makeup streaking down my face. The results last anywhere from 1-3 months depending on the dye used. 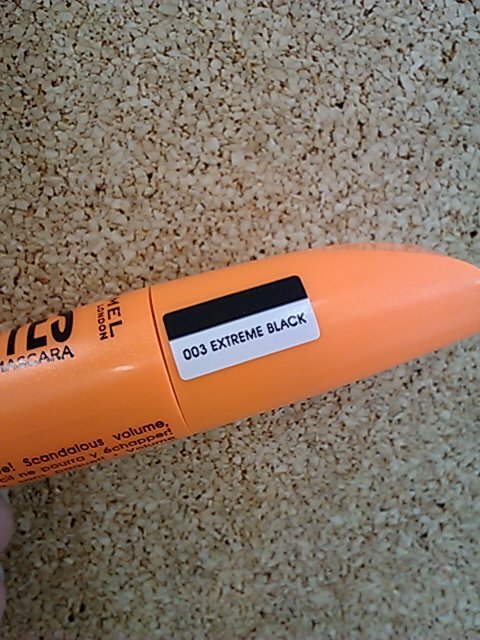 This does not lengthen or thicken lashes, it only darkens them. So if you have light lashes, it will make them appear longer and thicker, because you'll be able to see them without mascara. I had mine done professionally by Elle, a lovely cosmetologist at the Sage Tree Salon in Des Moines, Iowa. You can also buy do-it-yourself kits online and in beauty supply stores. If you choose to try this yourself, please follow all of the directions included in the kit, including the patch tests. Your eyesight is very precious; don't be careless. 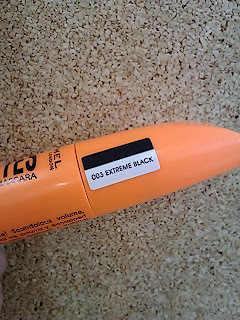 Before I started using Latisse, I was using Rimmel Volume Accelerator Mascara. I loved it. L.O.V.E.D. it! 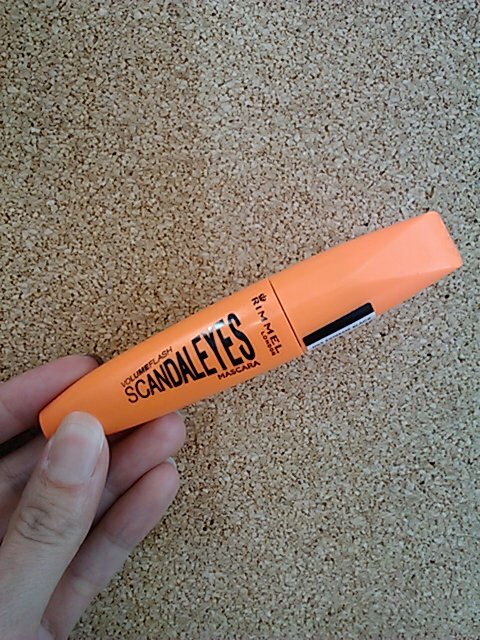 But, I didn't want it skewing my Latisse results, so I discontinued using it during week 2, and switched over to Rimmel Scandaleyes mascara. At first, I wasn't very impressed with Scandaleyes, because it does not give one-coat coverage like Volume Accelerator does. It takes two coats of Scandaleyes to get a nice and full, fluttery look. 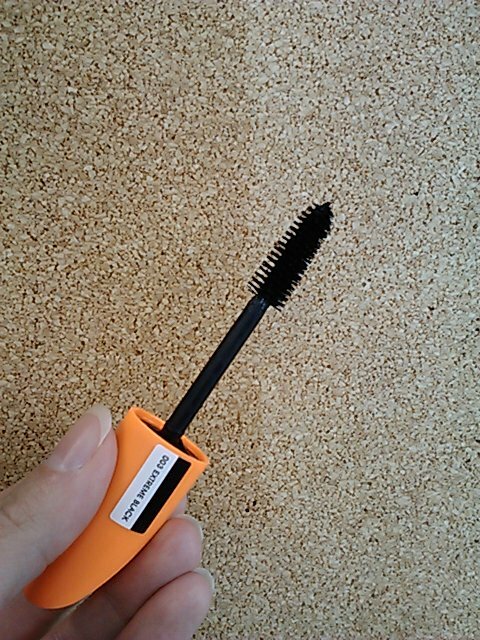 By two coats, I mean apply one coat by making multiple passes over the lashes quickly, let that dry, then repeat. So I'm actually passing the wand over my lashes 10-12 times by the time I'm finished. 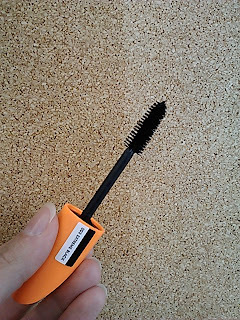 With Volume Accelerator, I only passed over my lashes 2-3 times, with no second coat. However, I don't think Scandaleyes should be disregarded. It is not waterproof, but I noticed that there is no flaking, and there is very little (if any) smudging throughout the day. I've tried most of the other drugstore brands of mascara (Covergirl, Maybelline, Revlon, Almay), and all of them have smudged and flaked except for Revlon's Colorstay (the original formula that has been discontinued for years now). Both Scandaleyes and Volume Accelerator completely impressed me with their staying power. For overall appearance, Scandaleyes is a very natural look, I think. The less you put on, the more natural it looks, but even several coats don't cause a clumpy, spidery mess. Let's see some pictures, yes? And here is both eyes with two coats of Scandaleyes. It looks a little smudgy here, but some of that is from the last tinting process. Also, keep in mind that I am not wearing any other makeup, so I didn't perfect the under eye area with concealer, foundation, or powders.